We are now in the throes of autumn, and if your home is like countless other homes all across the country, you probably have some forsaken space somewhere in a deep dark corner that’s completely stacked with bins of holiday decorations. Everyone loves a good retheming of their home during the holiday season. There is just too much to love. Turkeys! Pumpkins! Reindeers! These fall seasons have it all, but it comes at the price of a giant junk pile that seems to grow and grow every year like some kind of living organism. That’s why, this year, you should consider calling a company such as CleanPro for professional junk removal services before you put all your decorations back into storage. Junk removal services are beneficial during any time of the year, but particularly so in the fall. Let’s take a look at the reasons why you should consider junk removal and cleanup services this year. 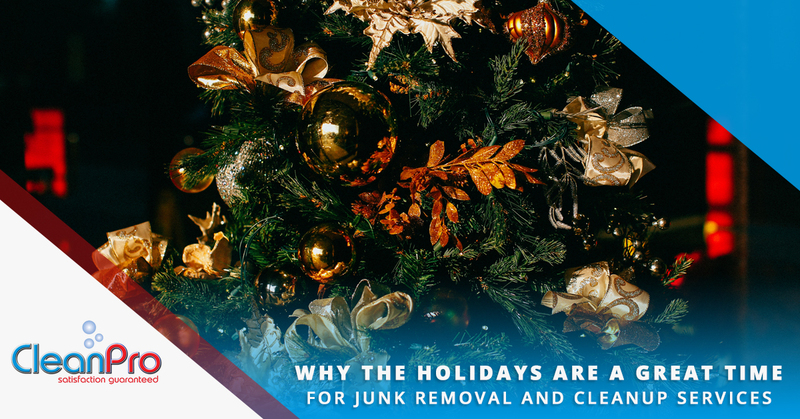 First of all, it’s great to call for junk removal at the beginning of the season, because it’s a good excuse to take an inventory of all your holiday junk that you’ve accumulated over the years. We know how it usually goes — you pry your Halloween decoration bins out of the convoluted Tetris grid that is your storage closet, get the stuff you need, and then carefully slide the junk back into their spots, hoping that nothing will come crashing down, only to repeat the process for Thanksgiving and Christmas. If you keep doing this, you’ll just add more and more every year. Why not pull everything out this year and take an inventory of your holiday decorations, getting rid of anything that is past its time? Broken Items: We know they’re there. Don’t deny it. They’re always there. Whether you have new broken junk or stuff leftover from last year, it’s time to throw it out. Out of Touch Decorations: Let’s face it, a lot of decorations just scream out, “I’m from the mid-90s!” If your stuff is starting to show its age in all the wrong ways, consider adding it to your removal list. Junk You Haven’t Touched in Years: If you were worried about the y2k crisis last time you touched a decoration, it’s probably a good sign that it’s not going to see use any time soon. Go ahead and throw out any items that you haven’t touched in years; you don’t need them anymore. We’re not advocating that you get rid of all your favorite holiday stuff. You got it for a reason and if you love it, keep it forever! But the fact is, everyone tends to accumulate holiday stuff that they don’t have a strong attachment to, and this most likely includes you. Did you know that junk removal companies don’t just throw stuff away? In fact, with every piece of junk, a decision is made as to how best dispose of it. For a lot of stuff, this may mean the garbage. But there are also many items that are fit for donation, and if you have some good quality decorations that simply aren’t to your taste anymore, it’s very possible that someone with a lower income would be happy to have them in their home. This is true during all times of the year, but it’s especially pertinent during the holiday season, where people are often on the lookout specifically for good holiday stuff. In a way, you can contribute to the spirit of giving and goodwill to men by giving up some of your holiday decorations! There’s another benefit to organizing your stuff during the fall and winter, and this one has nothing to do with the holidays. In general, people are busier during the summer months. In Massachusetts, we can have fairly cold winters so it’s good to take advantage of the good weather every chance we get. While this may not be true for everyone, people are generally less busy during the fall and winter, and that makes it a good opportunity to comb through your junk and get rid of some things. Traditionally, spring is the ideal cleaning and reorganizing season, but if you wait all the way until then, you’ll miss the opportunity to specifically address your holiday decorations, which makes fall the ideal time to call a junk removal service in Gloucester and the North Shore. With all this being said, let’s not forget that there are some universal benefits to junk removal no matter what season you’re in. Junk removal is a service that many people have never tried before. As a company that offers junk removal services in addition to residential and commercial cleaning, we can confirm that the general level of awareness and interest is much lower than a lot of other services, but that doesn’t mean that you should ignore it as something that could be beneficial for your home. More Free Time: If there’s one constant in junk removal jobs, it’s that it takes time. Lots of time, especially if you’re doing it on your own. 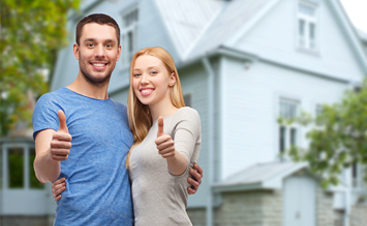 By hiring a local Gloucester company to do the work for you, you’ve suddenly freed up your schedule substantially. Freed Up Space: The other major benefit of junk removal is the new space that it affords you. Some people call for decluttering services because the amount of junk they have is overwhelming. Sometimes, entire rooms are cleared up after everything is said and done. Other people instantly replace the junk that was removed with new stuff — stuff that would have been overflowing out of storage before. 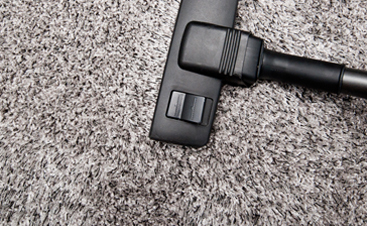 Physical and Psychological Benefits: Did you know that junk in excess can decrease the air quality of your home? 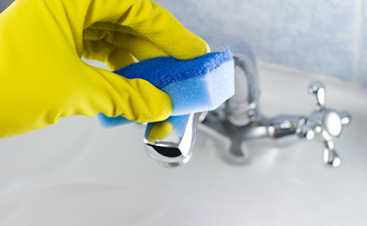 Did you know that junk removal is often a major factor of stress relief? Junk tends to stress us out psychologically, even if we don’t realize it. Many clients have reported how much more peaceful and cozy their home feels after it’s been cleared of the excessive distractions it once held. Improved Organization: One side effect of excessive clutter is that things tend to be disorganized. Likewise, when you get rid of a lot of your junk, it’s often directly correlated with improved organization. Not only do you have fewer things taking up space, but a lot of organization also naturally happens in the junk removal process. That also happens to be something we help with when you call Clean Pro for decluttering! At CleanPro, LLC., we offer just about every single cleaning service under the sun for our Massachusetts clients, and junk removal is just one of them. We urge you to consider decluttering your home this season — it will not only help you to bring your holiday decor up to date, it’s something that will serve you well in the long term. We’ve served clients all over the Gloucester and North Shore areas, and we’re happy to lend our services, both residential and commercial, to people in the surrounding regions as well. Looking to declutter your home or commercial building? Contact us today!